Taking a career placement test can be an excellent starting point when you are trying to make career decisions. Career tests can help you find jobs that match your personality, values or interests. They can help you decide if studying at the college or university level is right for you, and they can help you determine what types of skills would be easiest for you to develop. But no test can do all of those things. 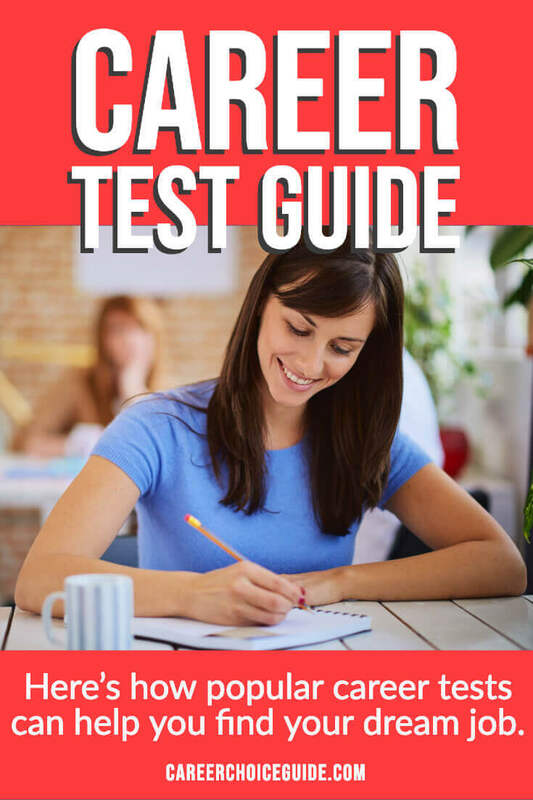 You need to first determine why you are taking a career test and what you want to get out of it, so you can use the assessment tool that is right for your needs. An aptitude assessment measures your capacity to learn a variety of different skills. This kind of career placement test may assess everything from your capacity to learn math, to your fine motor skills, to your spatial perception. An aptitude test does not depend on things you have already learned in the past. That means that even if you have not studied math in years, a good aptitude assessment can determine whether you could easily learn math now or in the future. An aptitude test does not measure your interests. So, while the results may show that it would be very easy for you to learn math, you may hate math. Your dislike of math will not be shown in an aptitude assessment. An interest inventory will show how your interests compare to the typical interests of people in a variety of different types of jobs. Your interests are compared with the interests of thousands of individuals who work in a wide variety of fields. The interest inventory will provide you with a list of jobs in which your interests match closely with the interests of people who are already happily working in those fields. This type of career placement test does not measure your skills and aptitudes. So, while an interest inventory can show that there's a high likelihood that you would enjoy a certain profession, it cannot predict whether you would easily learn the skills needed to do a particular type of job. A personality test can provide you with insight into your personality. What is the difference between an interest inventory and a personality assessment? Personality assessments focus on helping you to develop a deeper understanding of your personality and to determine jobs that tend to be a good fit for people who fall within each personality type. For example, if you are introverted, intuitive, you make decisions based on your feelings, and you like to keep decisions open, a good personality test will provide you with jobs that fit with that combination of personality traits. On the other hand, an interest inventory typically has a stronger focus toward matching you with potential jobs that fit with your interests. So, if you are strongly interested in the arts, and in entrepreneurship, an interest inventory will provide you with career options that fit with those interests. Although there is some overlap between interest inventories and personality assessments, they are two different types of tests. A personality test does not predict whether you have the ability to easily learn the skills required to do a specific type of job. This type of career placement test can help you to think through your work values or preferences. For example, a work values inventory may ask you to rank the importance of things like earning a high salary, engaging in social interaction, contributing to society or gaining status through your job. A work values inventory does not assess whether you have the ability to easily learn the skills required to do a specific type of job. A work values inventory does not match your personality or interests to specific jobs. Normally completing a skills assessment involves brainstorming alone or with a professional to list all of the skills you could bring to a job. Skills assessments help you to understand the skills you already possess as a result of all of the training and professional and personal experience you have. Skills assessments can help you to see how your skill set may fit with jobs other than the type of work you have done in the past. Skills assessments do not indicate skills that you have never developed, but that you have the potential to learn easily. They also do not predict whether you would enjoy using a particular skill (we all have things we're good at that we don't enjoy doing). This type of assessment is formally called a transferable skills assessment (TSA). Unlike other types of tests, a transferable skills assessment is not scientifically developed, but it can be an extremely valuable tool to help you understand what you already have to offer employers. Plus, you can do this type of career placement test yourself for free! Career placement tests can be extremely helpful, but they can also be quite pricey to take. If you have to pay the full price yourself, they can cost anywhere from $100 to $1500+ depending on the test. If a community organization, or a group or school you are affiliated with is offering assessments for free or at low cost, be sure to take advantage of the great opportunity! If you don't have access to free or inexpensive assessments, and paying the full price is out of your budget, the book Do What You Are is an excellent, budget-friendly alternative. It takes you through a test to determine your Myers Briggs personality type (the personality test mentioned earlier) and then shows you how to match your personality type to good career options.